Selfridges reckons that 80 per cent of men will leave their Christmas shopping until the last minute and although we reckon that figure is highly dubious, we are glad to see the company optimise its mobile website for those grabbing last minute gifts. 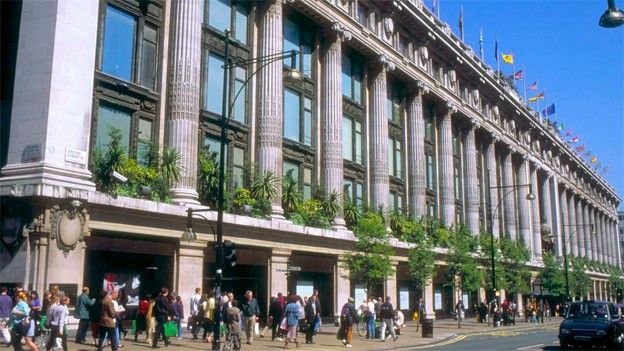 The new mobile-friendly Selfridges.com isn't an app, but will offer an improved smartphone and tablet shopping experience for those selecting presents while on the move. Shoppers can use the new site to order goodies and have them delivered right up until Friday, while mobile browsers can buy from Selfridges.com and pick up in stores on Saturday. Atop of this year's Selfridges Gift Guru Gift Guide (try saying that after a few mulled wines) is the Van Cleef & Arpels Malachite Alhambra necklace, worth £18,900. Little wonder the department store is desperate to get men through the door. The official press release claims: "According to scientists, the reason behind men's last minute panic Christmas shopping in comparison to a woman's more considered approach is down to a woman's generic love of spending hours browsing in shops, in contrast to men who prefer to be in and out in the least time possible. This reflects our primitive past when women nurtured and men hunted." They really needed scientists to determine that women love shopping and men don't? Great work Selfridges. Really great work.